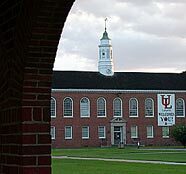 The University of Louisiana at Lafayette is among the 2011 Best Colleges as designated by U.S. News Media Group. The exclusive rankings were issued today. They include more than 1,400 schools nationwide. UL Lafayette is listed among the second tier of the Best National Universities. For more information about Best Colleges, visit www.usnews.com/colleges. The rankings will also be published in the September issue of U.S.News & World Report, on newsstands starting August 31.